I promised I would be back and here I am! 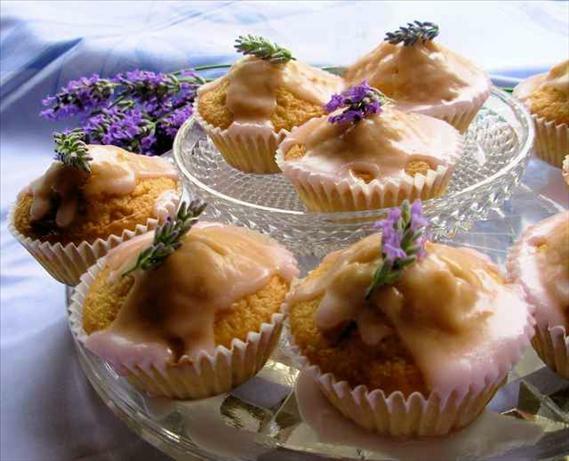 A little recipe to share with you that makes use of my French Lavender and Vanilla Sugar……and also supports the Lavender Trust, a British charity for young women with breast cancer. 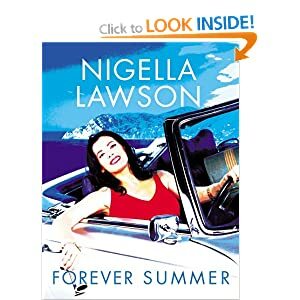 This is a recipe that I have adapted to my own tastes, based on Nigella Lawson’s recipe in her Forever Summer cookbook; she developed this for the Lavender Trust, as I mentioned before. These delightful little cakes are easy to make and are ideal for gifts, high tea, picnics and parties. I am also entering these little stunners for the August Forever Nigella event and the theme is Picnics. These would be brilliant for a sweet ending for a picnic and are easy to transport in a tin. These little Fairy Cakes (cup cakes) are always popular when I bake them, especially when served at my bi-annual “Here come the Girls” tea party in aid of local charities…….. 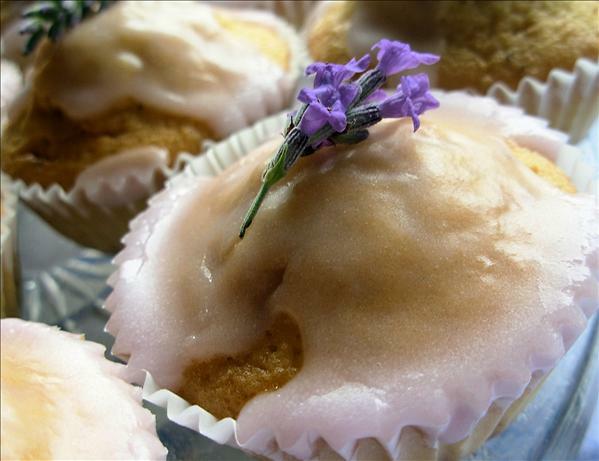 They are also an excellent way to use my recipe for Lavender and Vanilla Sugar too……. Another short but SWEET post for today ~ normal service will be resumed tomorrow, as I am currently wrestling with linen, laundry, pegs, peg bags and broken washing lines! Preheat the oven to 200ºC/gas mark 6 and line a 12-bun tin with paper cases. Put all the ingredients for the fairy cakes, except for the milk, into the bowl and mix well with a hand held mixer for about 2-3 minutes. Mix once more, adding enough milk to make a batter with a smooth texture. Pour the fairy cake batter into the waiting cake cases. Bake for about 10 to 15 minutes, by which time the sponge should be cooked through and springy to the touch. Remove from the oven, leave for 5 minutes or so, then arrange the fairy cakes in their paper cases on a wire rack to cool. Whilst they are cooling, make the icing. 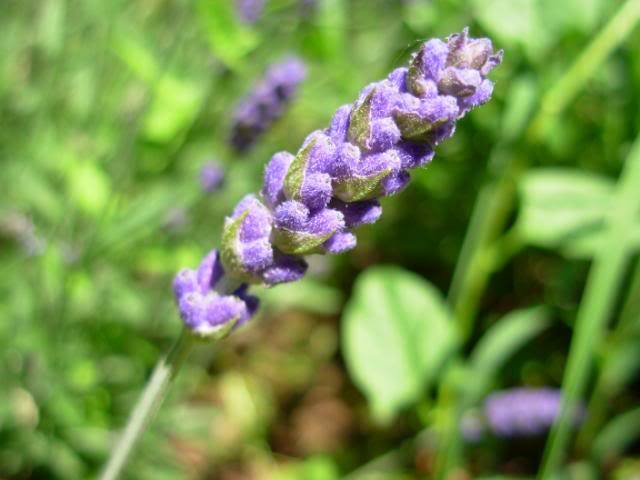 I like this to be pale violet in colour and to run off the cakes slightly – not too thick. So add the water to the icing sugar and gradually add the food colouring until the desired colour has been reached. The icing should be fairly loose, but not too runny. 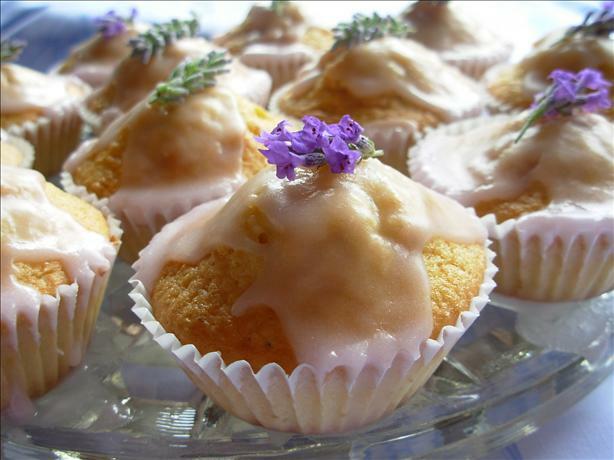 Top each fairy cake with the icing – it does NOT matter if it drizzles down the sides of the cake cases. 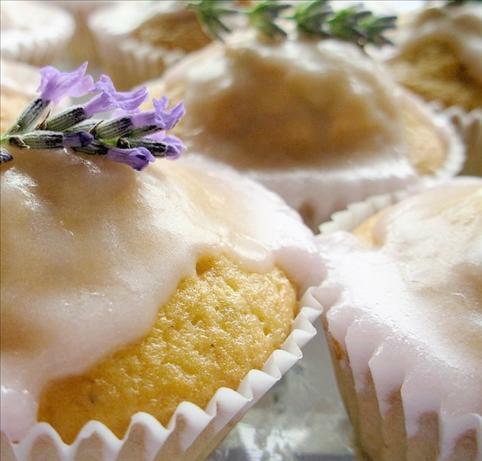 Top each fairy cake with a little sprig of lavender before the icing’s set dry. Thanks Curious Cook, it is really lovely in cakes especially, but you must go lightly as it is a pungent flavour! These are really pretty, better than the ones in her book! Thanks so much for taking part! Thanks very much Sarah! I am pleased I was able to squeak in at the last minute!